Los Sueños homes are internationally acclaimed, and Los Sueños is home to some of the most coveted investment and dream home real estate on the planet! We invite you to make Stay in Costa Rica your go-to, trusted point of contact for real estate in Los Sueños. 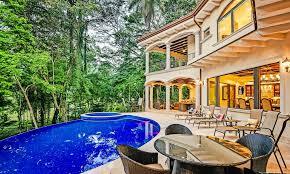 Stay in Costa Rica offers luxurious rental and real estate options. Whether you’re interested in moving permanently to Costa Rica, owning your dream vacation home, a retirement home, or just looking for an excellent investment opportunity with huge ROI potential, we invite you to check out Los Sueños homes. Contact Stay in Costa Rica’s real estate specialist, Gerry Getty for inquiries, details, and tailored real estate service. Gerry Getty is a trusted Costa Rican real estate specialist and has been with Stay in Costa Rica since 2006. To date, Gerry has connected hundreds upon hundreds of people with their dream properties in Los Sueñons, and he can connect you to yours! Contact Mr. Getty by clicking the following link: https://www.stayincostarica.com/real-estate/contact-real-estate/?undefined. Los Sueños resort is a sprawling estate with lots of homes for rent and for sale. Below, you will find three of our premium home listings starting at just $300k+, going all the way up to $1 million+. Whatever your budget and whatever your taste; Stay in Costa Rica can connect you to your dream home. While many of our homes sell at $2 million+, we have beautiful Los Sueños homes for sale starting at just $315k. This home, for a low $315k, would easily sell $500+ in other parts of the world and in other parts of Costa Rica. This home is a 1900 sq ft, two-bedroom, two bath condo. Perfect for retirees, single people, and couples without children, this condo overlooks La Iguana Golf Course. This listing also makes a great investment opportunity for quick ROI. To view photos and the full details of this condo, click the following link: https://www.stayincostarica.com/listing-182-at-los-suenos-costa-rica/. For a high-end property that doesn’t have a high-end price tag, this 3100 sq ft, three-bedroom, four baths, premium condo can be yours for just $800k. Spacious, luxurious, and with Spanish Mediterranean architecture, the inside of the home is as spacious and beautiful as the view outside. Few condominiums capture the lifestyle of Los Sueños like this home does. For photos and details, please click out the following link: https://www.stayincostarica.com/listing-163-at-los-suenos-costa-rica/. This 3100 sq ft, three-bedroom, and three bath ocean view condo is simply breathtaking. It comes with high-end furnishings and stunning vistas, and it is truly one of the best homes in Los Sueñons. Everything from the furniture to the appliances and cabinetry is high-end. Perfect for anyone whose dream home is a magnificent condominium on the beach amid a tropical oasis. View yourself: https://www.stayincostarica.com/listing-181-at-los-suenos-costa-rica/. Costa Rica is a great place to live, and it’s the ideal place to own a rental property. Los Sueños homes are popular among ex-pats and tourists from around the world.